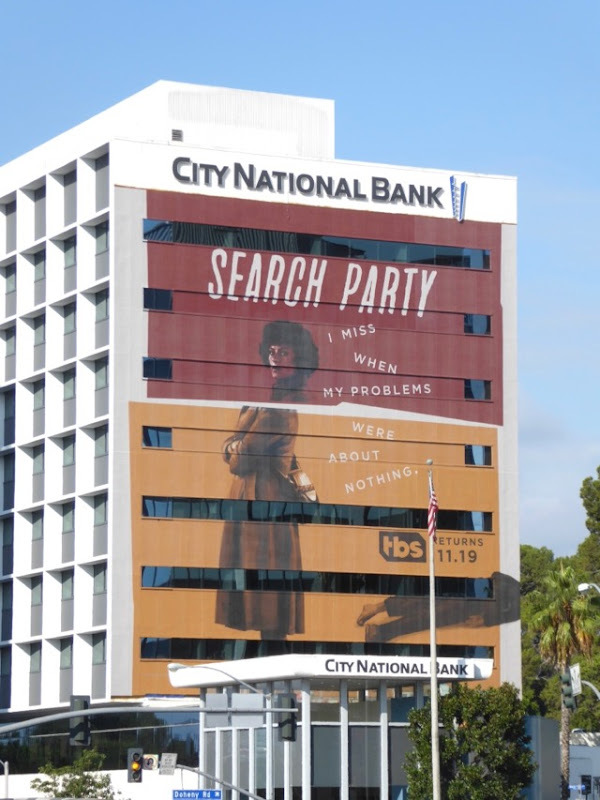 "I miss when my problems were about nothing". 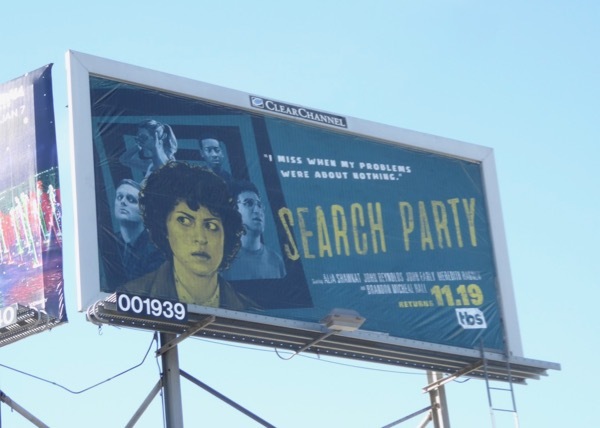 Anyone else relate to the tagline for the sophomore season of Search Party? 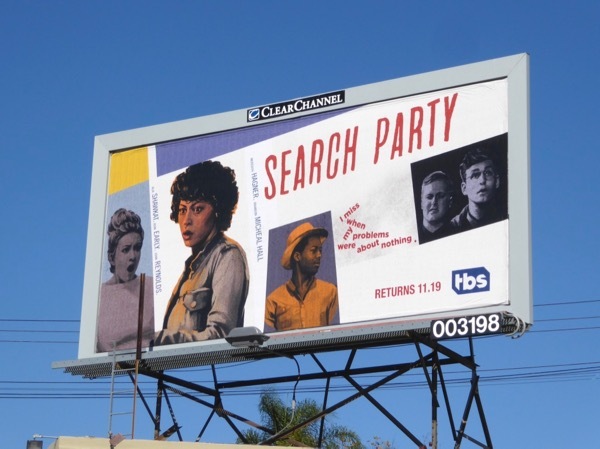 Alia Shawkat is back for a second season of millennial amateur sleuthing as 'Dory Sief' after finding out their missing college acquaintance was perfectly fine at the end of the first season, but now she and her hipster friends are reeling from accidentally killing the private investigator she also had a brief fling with. 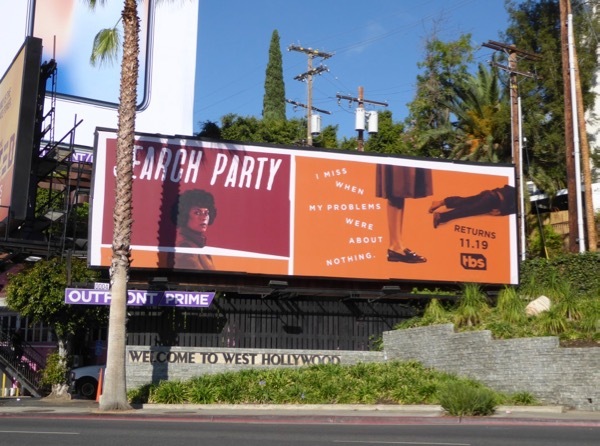 These sophomore season ad creatives have a great Hitchcockian feel to them, which is very apt considering the dark comedy has morphed from a mystery into a psychological thriller. 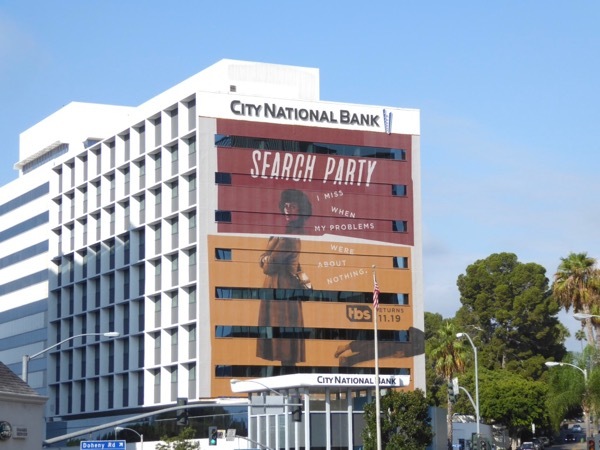 This giant-sized season two billboard was photographed at the border of West Hollywood and Beverly Hills at the start of the Sunset Strip on September 10, 2017. 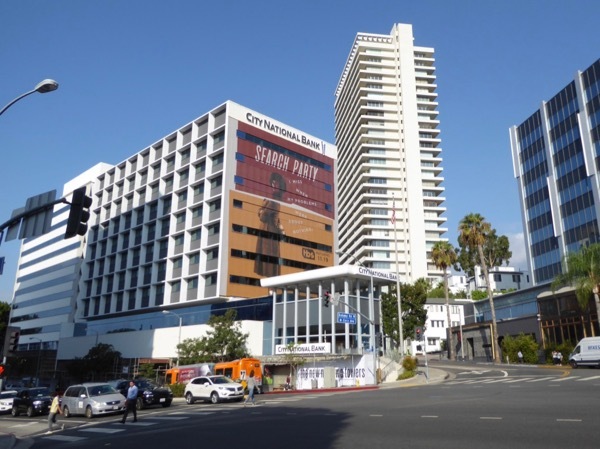 Meanwhile the wonderful assortment of smaller landscape billboard ads were spotted along the Sunset Strip, Pico Boulevard, Vine Street, Western Avenue and Highland Avenue from November 3 to November 18, 2017. 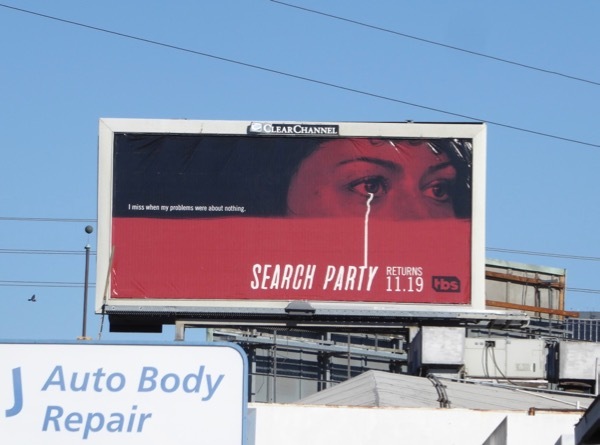 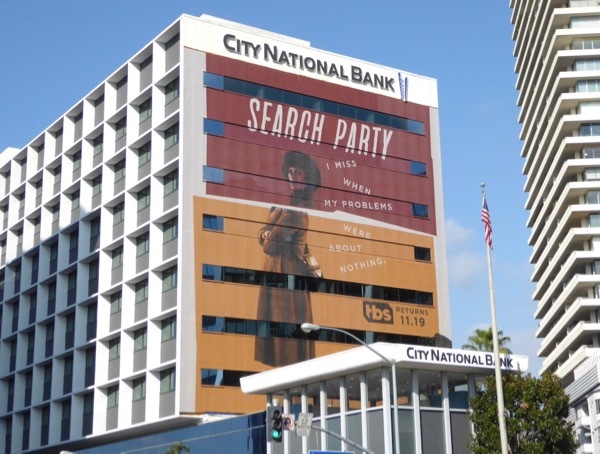 Fans of the TBS show can also enjoy these season one billboards for Search Party from the streets of Los Angeles and New York City. 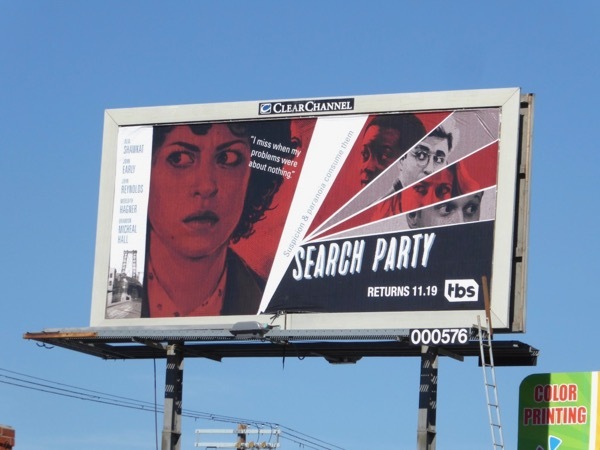 Can Search Party continue to garner rave reviews with its return, or will a dead body be the beginning of the end for Dory and her friends. 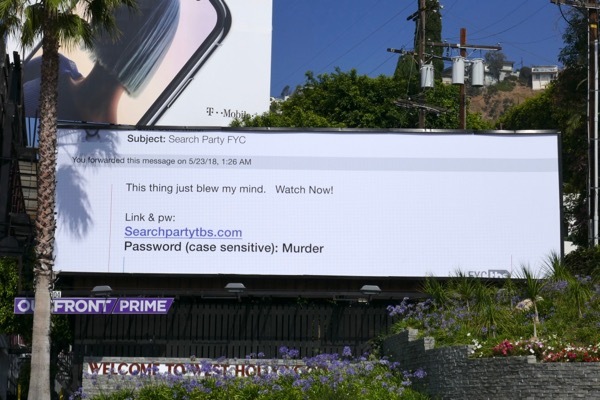 UPDATED: Here's also a clever email-themed Emmy consideration billboard for the show's second season, snapped along the Sunset Strip on June 20, 2018.